retro-link: C128 VGA adapter prototype - the final colors? 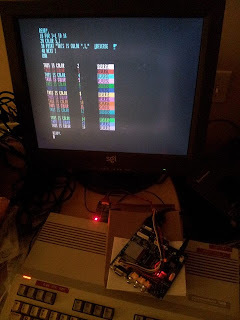 Final work on the C128 VGA adapter is nearing completion. It's been a long wait, because the engineer has a day job helping fire off rockets in the Southern California desert! Here is the latest picture that he sent. He says that he is pleased with the colors and that they are pretty accurate. Now he is looking into production options.